We offer a personalized experience like no other! Hop aboard your personal seaplane on a breathtaking flight to Friday Harbor on beautiful San Juan Island. We bring you to the doorstep of San Juan Island’s best whale watching. Your place awaits you as you enjoy a tour to remember. Seattle whale watching tours to Friday Harbor and Roche Harbor are made easy by a scenic 45 minute seaplane. Friday Harbor Seaplanes flight schedules connect you to the whale watching tour operators below. We do partner and offer a Whale Watching Flight Package Adventure which you can reserve the flight and whale watching San Juan Islands tour at a discounted rate. One size does not fit all so we suggest you find the operator and boat size that best fits you and confirm availability on their tour options. From there, you can Book Flights Online to connect with them or feel free to call us at 425 277-1590 and we will be more than happy to help you plan your Seattle Whale Watching Tours and San Juan Islands seaplane flights. Western Prince Whale & Wildlife tours features two fantastic options for the whale watching experience you will only get in the beautiful San Juan Islands. They offer two different tour options for you to choose from. 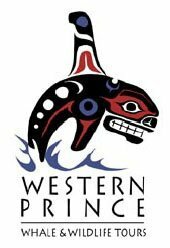 Friday Harbor Seaplanes is proud to partner with Western Prince to offer a Whale Watching Flight Package Adventure that makes a day trip from Seattle easy. Why drive and take the ferry, which you cannot do in a day, and take a scenic seaplane flight. Our flight schedules connect easily with Western Prince. The Western Prince II, custom 46′ boat is a fast (cruising at up to 21 knots) USCG certified twin-engine vessel that was originally built as an ocean going charter boat. We limit guest counts to only 32, with seating for 41. It is large enough for safety and comfort, yet small enough for a more interactive trip with the crew, the wildlife and other guests. The Western Explorer is a thrill, it is not just a thrill ride. Every trip is guided by an experienced Captain and Naturalist. Killer Whales (orcas) are usually the primary focus of our tours and you can expect to see them on the vast majority of our trips between mid May and mid October, and to a lesser degree in March, April and late October. Faster boats, flexible trip times, and our departure location help ensure that our sightings are as high as, or higher than, any company in the area. We will also search for Humpback Whales, Minke Whales, Dall’s Porpoises, Harbor Seals, Bald Eagles, Steller Sea Lions, Harbor Porpoises, and many interesting Sea Birds. Occasionally, we are treated to the sight of Gray Whales and Pacific White-Sided Dolphins.If you are looking for a wind in your hair “expedition style” adventure with the opportunity to learn about the amazing whales and wildlife of the San Juan Islands, then the Western Explorer is for you. 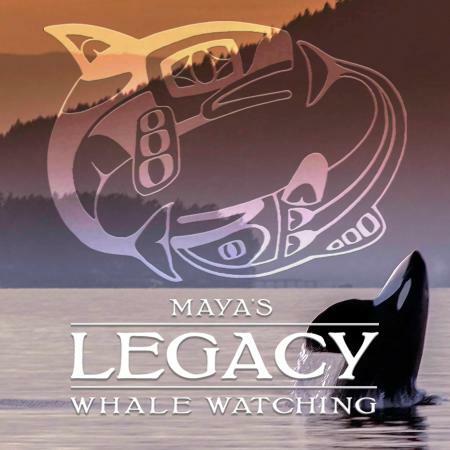 Maya’s Legacy Whale Watching provides personalized eco-adventures from the best location to experience orca whales in the wild. Recreational, engaging and informative, we offer memorable experiences with a passionate crew, the most innovative boats, departing from the heart of it all, San Juan Island. Our passenger-centered approach and reputation for going the distance assure you the best whale watching experience possible. Our whale & wildlife tours are fun, informative and interactive. Great for family groups and guests of all ages, we focus on small group tours so there’s no competition for the best view. Our whale watching and wildlife tours are two and a half to three hours in length. We operate year round and offer two to three departure times daily. The waters surrounding San Juan Island are the #1 place in North America to see wild orca whales. San Juan Safaris, located in Friday Harbor on San Juan Island, is in the perfect location to provide you with the thrill of seeing orcas in their natural habitat. Seasoned Captains will keep you safe while aboard our vessels and position the boat in prime locations for whale and wildlife viewing. All of our tours are staffed by seasoned Captains and passionate Marine Naturalists who will teach you about the wildlife, ecology, and geology of the Salish Sea. We encourage you to ask questions and love to share stories about orcas and the local area. The Sea Lion is our flagship vessel, built specifically for whale watching & wildlife viewing. The Kestrel is our new high-speed adventure vessel– perfect for anyone looking for an exciting excursion! San Juan Excursions is family owned and operated by second generation islanders who love sharing the best of the San Juan Islands with visitors. We are members of the Pacific Whale Watch Association which helped to develop the current standards for whale watching in the region. We are proud to run our business in an ethical manner and support our local community and environment.The “Odyssey” is the most comfortable whale watching boat available in the San Juan Islands. A classic motor yacht, the Odyssey has comfortable indoor lounge style seating and heated cabins to keep you warm, two restrooms, a snack bar, large windows for inside viewing and a small library with books and coloring for the kids. Outside, the “Odyssey” offers large, wrap around decks with comfortable, padded seating on two levels, along with outdoor speakers for hearing information from our naturalists, listening to the orcas on our hydrophones and for music during the trip. The “Odyssey” was built in 1941 as a naval air/sea search and rescue boat and then was converted into a charter craft in the mid 1980’s.Our team consists of fun and enthusiastic marine naturalists who are certified by the Whale Museum’s Naturalist Training Program and come from a variety of backgrounds from teachers to college students. Our naturalists are also members of the Salish Sea Association of Marine Naturalists, so they are always up to date on all of the information about the area and it’s wildlife. Some of our naturalists are previous guests who were so inspired by their whale watching trip that they became certified naturalists themselves! For more information or reservations for our Seattle Whale Watching Tours to Friday Harbor. Inquire about a flight or call 425-277-1590. Copyright © 2015 - 2019 Friday Harbor Seaplanes. All rights reserved.